Right up front I will have to disclose that I hated the debut album from Toronto's Timber Timbre. I found it to be a listless, and quite frankly boring, experience. Despite having one of the best titles of the year this far, there was no reason for me to expect anything different with their new album Creep On Creepin' On (out April 5th). I'm pleased to say that Timber Timbre have made me re-examine my opinion of them with this new record. The songs are cleaner and more tightly structured. The arrangements are far more diverse than they were the first time around. That makes for a far more engaging listen than the drone-fest that proceeded it. Most importantly though, the vocals are much more prominent, making it easier to absorb and process the lyrics. Fans need not fret as the emphasis remains on creating moods and atmospheres rather than forcing in hooks and melodies. You can sense the difference right away. The opening track "Bad Ritual" features an intoxicating piano part, and yikes, backing vocals. 50s-era doo-wop influences weave their way into "Lonesome Hunter", a track that sounds like it should be followed by "Hey Paula". The same influence is there on the title track, but this time its joined by a sax part that feels like it floats along above the song. The highlight of the album comes on "Too Old To Die Young", which sees the usual ghostly Timber Timbre vibe mixed together with elements of country. The haunting folk and blues inspirations are never too far away though. However, this time around they are augmented by the superior arrangements and vocal track. Previously, a tracks like "Black Water" and "Do I Have Power" would have had me reaching for the skip button. Less shrouded in the atmospheric sideshow, these songs actually stand out as introspective and hopeful. There are still some painful moments. "Woman", for example, is a rambling, confused noise barrage, that somehow still manages to bore the listener. "Swamp Music" aims to be eerie, but instead comes across as disinterested. Creep On Creepin' On is a massive leap forward for Timber Timbre. They show growth in their sound and songwriting without compromising the overall feel of their music. It's a very unexpected surprise for me. 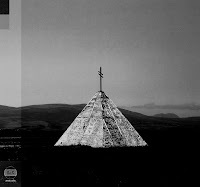 Timber Timbre plays Trinity-St. Paul's Centre in Toronto on April 8th. Best tracks: "Bad Ritual", "Too Old To Die Young"
I think this album is amazing. I love the song 'Lonesome Hunter' it has visuals from birds to zombies! what more can one ask for?